Feline lower urinary tract disease is a common condition. It’s much more prevalent and dangerous in male cats, but you should watch for the following signs in all of your cats. Depending on the cause, it can create serious issues. 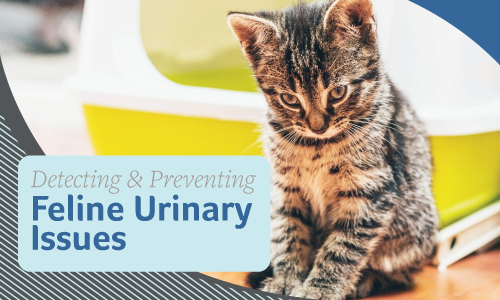 If it’s caused by urinary crystals or stones, the urethra can become blocked (especially in male cats) and cause a life-threatening obstruction. Do not wait to get treatment if you notice these symptoms. A blockage is a serious emergency and needs to be ruled out or treated right away. If you ever suspect your cat is suffering from urinary issues, contact us as soon as possible.